On November 2, 1960, Julio Nakpil, a Filipino composer who also fought during Philippine revolution died at the age of 93. Julio served as a commander for revolutionary troops in the north of Manila under Andres Bonifacio. His experience in the battlefield earned him the task of securing, purchasing and watching over the funds and weapons of the Katipunan. Julio, who educated himself at home and eventually learned how to play the piano, made compositions which were inspired directly by the Revolution. One of his compositions "Marangal na Dalit ng Katagalugan” was a candidate for the Philippine national anthem but eventually went to Julian Felipe’s “Lupang Hinirang” composition. Prior to the revolution, his skill in playing the piano earned him an audience among the affluent, becoming a regular pianist for Malacanang social functions. Julio, who later became a piano teacher, composed his first short polka piece for the piano called "Cefiro," in 1888. This was followed with other pieces such as "Ilang-Ilang," "Recuerdos de Capiz," "Pahimakas," "Pasig Pantayanin," and "Biyak-na-Bato," to name a few. 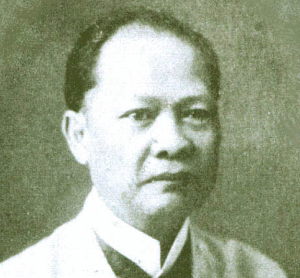 Among his expository works were "Luz Poetica de la Aurora," "Recuerdos de Capiz" and "Exposicion Regional Filipina," all of which were given a diploma of honor from the Exposicion Regional Filipina in 1895. After the revolution, he was married to Bonifacio’s widow, Gregoria de Jesus with whom they have eight children but two died in infancy. Julio spent his remaining years in creating compositions and writing his memoirs of the Philippine Revolution. Notably, he received awards like a diploma and bronze medal from the Exposition of Hanoi in 1902, a diploma and silver medal from the St. Louis International Exposition in the U.S. in 1904, and a medal and citation from the Civic Assembly of Women in 1954. In 1963, he was given a posthumous award by the Bonifacio Centennial Commission in recognition of his patriotism. In 1964, a memoir entitled Julio Nakpil and the Philippine Revolution was published by his heirs. At present, the house of Julio and wife Gregoria lived to be known as "Bahay Nakpil" in Quiapo with a Spanish style architecture is maintained by his heirs which served as a museum.